Applications that want to keep your business update regularly, and that should be a lesson to everyone. Those who want to keep their customers happy are always going to be looking for ways to improve. 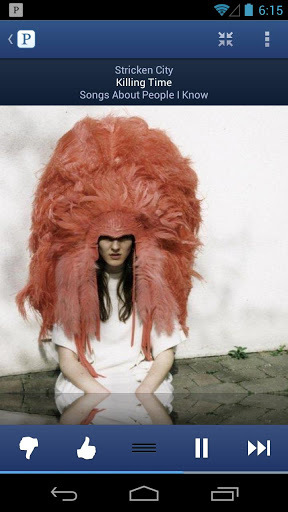 A great recent example of this is the new version of the Pandora application available for Android devices. Many people like the app because it is a nice and easy way to listen to the type of music they want with a limited number of commercials. Most find it far better than most of the radio stations in their area. However, one of the complaints with the app on Android was that it was not always easy to navigate. Things are changing, though. The app has a great new look, but this update was about more than mere aesthetics. The application is also easier to use and to navigate, so listeners should have an even easier time getting around the app. Users now have the opportunity to look at their song history, so they can review, rate, and even bookmark songs they’ve played before. As with the online application that you can find via your computer, you will discover that you can now look at the artist biographies, lyrics, and more, including songs by similar artists. The update fixed a few bug issues, as well. While some of the changes are merely cosmetic, the application update offers a way for its users to engage more with the application, and this is important. When the listener uses the app and has these different features and options, it can help to make the application quite a bit more useful. It’s still one of the best music applications available, but the new features help to make it a standout. Pandora knows most of their customers are listening to their music via mobile devices, which is why it was important for them to ensure that it runs smoothly and properly at all times, so they put quite a bit of thought into all of their updates. 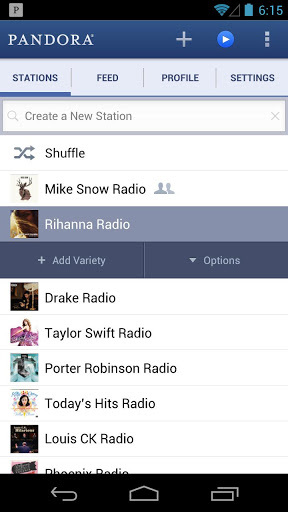 As you can see, they’ve made quite a few important changes to the Pandora application. They had their customers in mind when they did this, and they update to make their product and service better. Most Pandora listeners are quite loyal as a result. This is a lesson that you should remember if you have your own business.